When you are planning to purchase your dream home, taking a home loan is the best option along with an affordable amount out of your savings. However, sometimes circumstances may arise where you may need a significant amount of money to meet your financial needs while you are still paying back your existing home loan EMIs. To deal with such a situation, a top-up loan on your existing home loan may prove to be a cost-effective solution. These loans are available with nominal interest rates with easy processing. 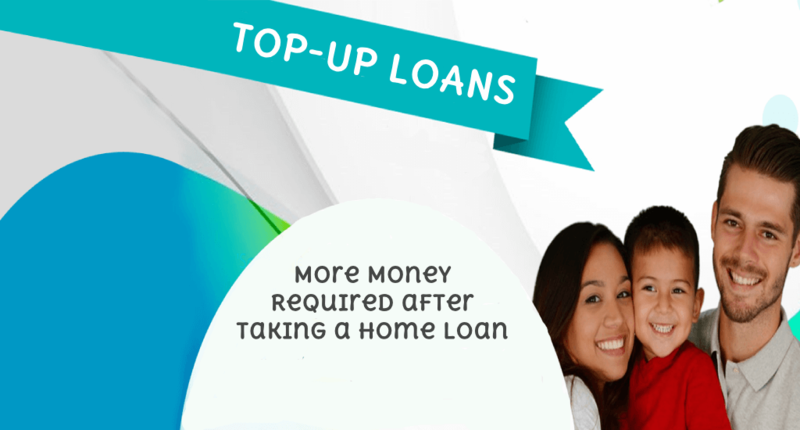 A top-up loan is a type of loan which is offered to you over & above an existing home loan. It is different from a personal loan. It comes handy when you meet a financial crisis or need money to fulfill your requirements like home renovation, medical expenses or paying your educational fees. So, if you have already taken a home loan and you are paying your EMIs continuously without any delay, then your lending housing finance company may consider offering an additional loan to you. What is the eligibility & tenure to get a top-up loan? Top-up loans can only be accessible to existing home loan borrowers. It can be availed only if you have a good repayment track record and a healthy CIBIL score. Usually, housing finance companies offer a top-up home loan for the tenure of 2 to 3 years, but it depends on one lender to the other. What are the benefits of a top-up loan? A top-up loan is provided on your existing home loan; hence there is no need to provide additional security and other details again. You can use the funds from the top-up loan as per your needs, and the lending house will not ask you for the purpose are you taking the loan. So, feel free to use the money as per your convenience. As the top-up loan is given on the security of the home, the top-up loan interest rates are lower than that of a personal loan or gold loan interest rates. How to opt for a top-up loan? To get a top-up loan, you have to request your existing housing finance lending company to consider offering you a home loan top-up. You will be eligible once you fulfill the minimum tenure of the on-going home loan. You can also choose a top-up loan from another housing finance company which may offer you lower home loan interest rates and top-up loan interest rates. All you will have to do is, opt for a home loan balance transferto that company. Therefore, a top-up loan is beneficial for you. It can help you to meet your urgent & unexpected financial requirements along with having a lower rate of interest. Plus, the freedom of using the money according to your convenience and requirement is another reason that makes it attractive. To opt for your top up loan& to explore best home loan schemes from different lenders, log on to www.afinoz.com or mail us at info@afinoz.com. We are here to serve you the best financial products without any hassles.